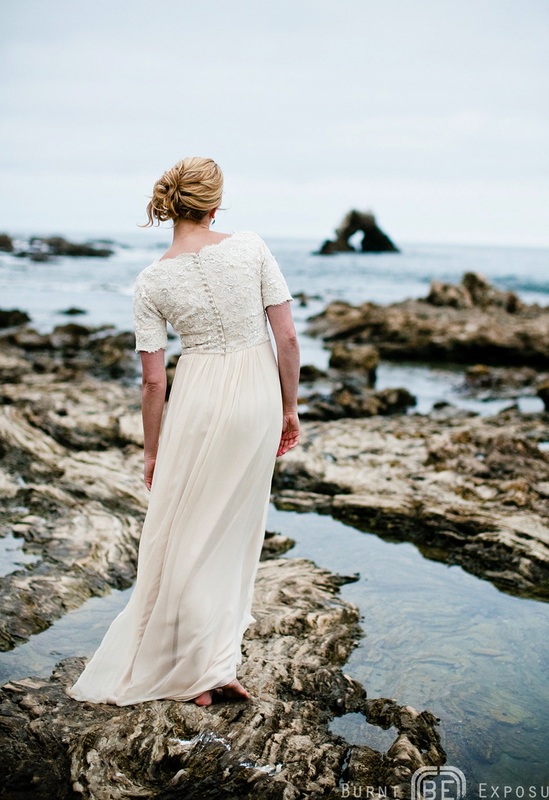 This gorgeous gown is a custom piece we did for our bride Sara. 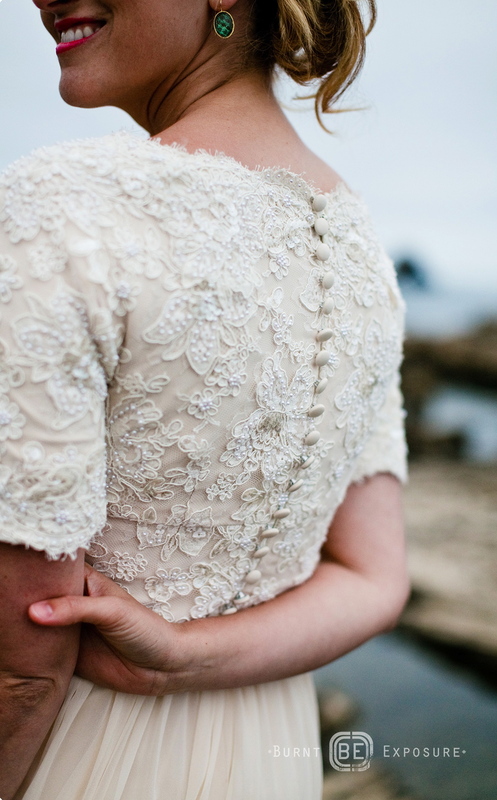 She wanted a lace bodice with some sparkle to it so that is where we started. Many different laces were considered; when we presented Sara with this beaded sequin lace she fell in love! The lace was quite heavy and when constructed it would have a structural feel so we wanted to soften it in the skirt of the gown. We chose silk chiffon for its light ethereal feel. Our favorite characteristic of this gown is the color. We stepped away from traditional white and went with a champagne huge. The color really amps up the sophistication of the gown. Sara was great at being open to a colored gown. 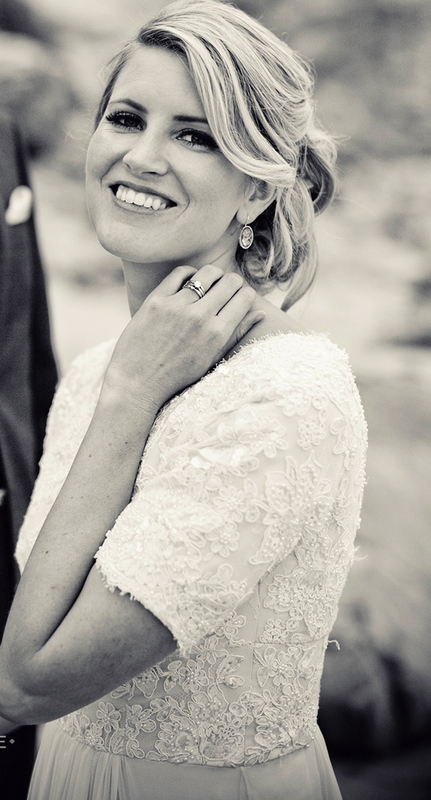 The end result is a beautiful gown that is part traditional part whimsical and a very happy bride! A special thanks to Burnt Exposer photography for the stunning photo’s. Check out their website to see all of their amazing work!